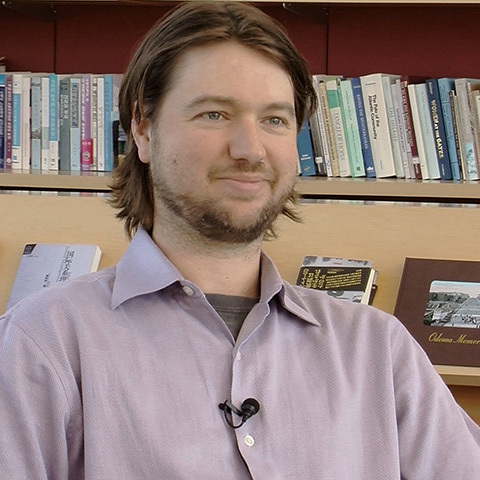 Ian Straughn is the Joukowsky Family Middle East Studies Librarian at Brown University. His research and teaching interests focus on the emerging study of the archaeology of the Muslim World. His work has concentrated on understanding how Muslim societies have been shaped by the landscapes which they have constructed and conceived and by their relationship to the material world. A major aspect of his research has consisted of developing a methodology for bringing the archaeological and textual records into a productive dialogue about past societies. Additionally, his work has sought to understand the relationship of materiality to religious experience and the place of archaeology in the study of religion. He received his Ph.D. in anthropology from the University of Chicago in 2006. How is the U.S. government responding to the events in Egypt? What is the relationship between the United States and Egypt? Why should high school students learn about what is happening in Egypt? Why do some U.S. politicians place such great emphasis on stability? How has the media covered the protests? What role have social media and the internet played in the protests?